Ok, girls. Thanks to Wendy at More Than Enough, here’s another awesome Bath & Body Works coupon, good until July 6. You should only have to purchase one thing (anything!) in the store to be able to redeem the coupon for one lip favorite or hand gel. 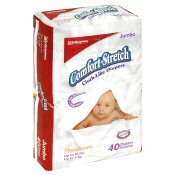 I went to Walgreens tonight to purchase two packs of their store-brand training pants that are on sale this week for only $5.99 per pack (the same is true of the store-brand diapers). I heard there was a coupon in the Walgreens Easy Saver Catalog (it’s red this month and can be found in the front of the store when you first walk in or near the registers) for $5 off the purchase of two packs. So, I got two packs tonight for only a little over $7 after tax. The cashier was impressed and said she was gonna do the same scenario that night before going home to her two year old sleeping son. I love a bargain. Then I came home, quite proud of the bargain I had just made, when I sat down to my computer to find this better scenario on a blog I love to read. I could’ve saved even more. Oh well, the sale is good until Sunday, July 6, and I need to purchase two more packs anyway. "Excuse me, Officer…what did you say?" After she crawled through the cupboards, she decided to take a spin on her bike. 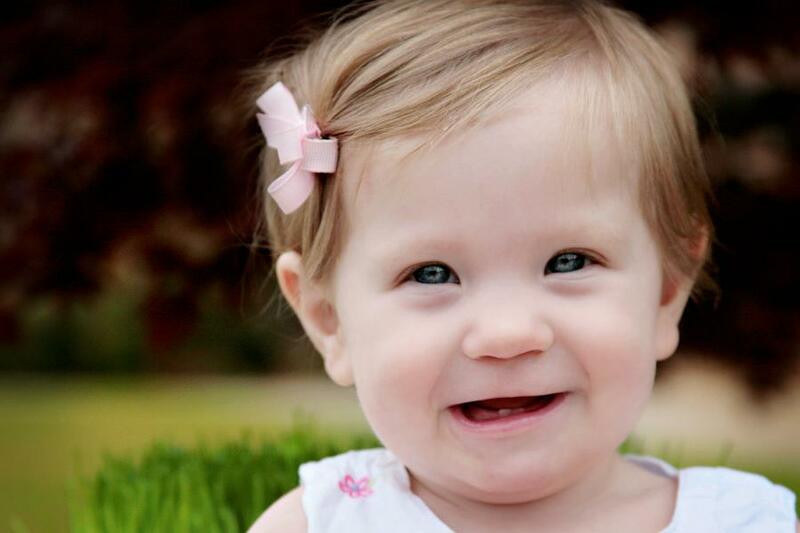 Just shy of her first birthday, she received her first citation. It’s ok…I was thinking “COPS” when I wrote this post, too. Just look at that messy hair, no shirt, diaper only, jalopy riding, cupboard climbing baby. All the components are there. 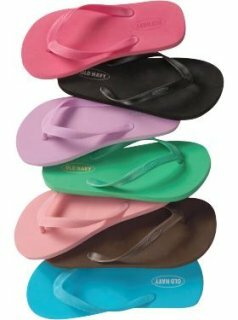 Old Navy flip flops will be on sale this Saturday for only $1 a pair! Thanks to Carlie at Why Ask Why for this “heads up”. Andrew has just completed the Skipper swimming lesson course. 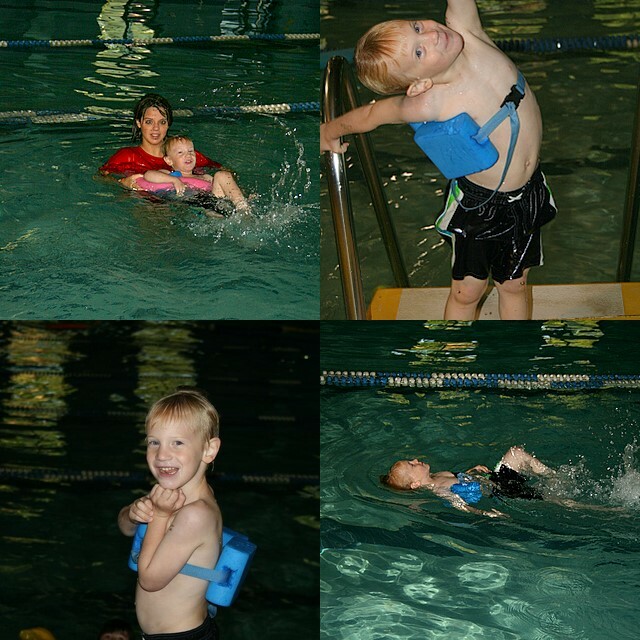 He did so well and looked forward to every evening in the pool with his instructor, Amanda. He now understands to hold his breath when his head is under water and he’s become more brave than I would like – jumping off diving starter blocks, disappearing underwater, and doing flips. Fun, but scary. We are so proud! I have a sweet friend named Carolyn. She and I worked together for a couple of years at our school and always enjoyed having conversation in passing or as she dropped off her class in my art room. We share alot in common such as a passion for scrapbooking and anything crafty. Well, low and behold, she picked up a colored pencil one day and started drawing! All these years and no one ever knew, not even her, how gifted an artist she was. Carolyn would never admit to that but I’ll brag for her because her work is amazing. So, after seeing Carolyn’s work, I immediately asked her to draw Abigail’s face from a picture that my friend, Holly, took. Here’s the final result and comparison. 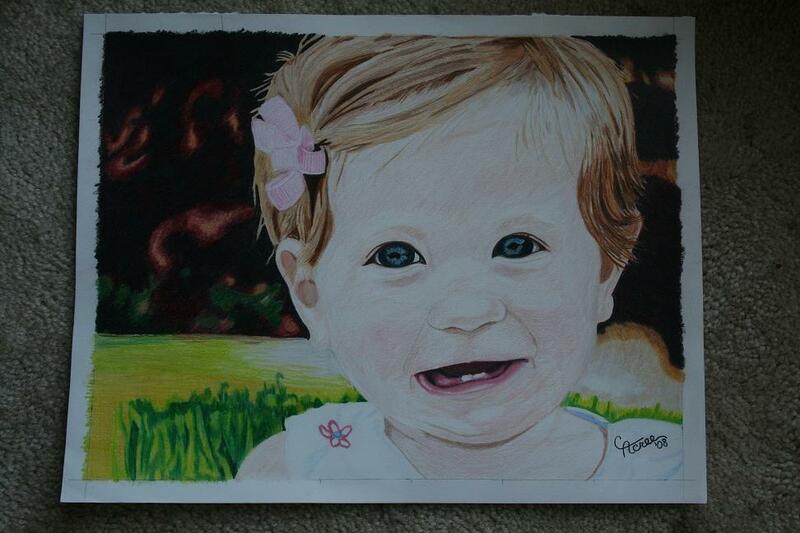 So, if you are interested in having Carolyn draw the face of your loved one, please contact me. She is eager to do more work! If you’ll email or call me, I’ll give you Carolyn’s contact information so you can communicate with her directly. She is waiting with her pencils ready! Click here for another coupon for $5 off $20 at Walgreens, only good tomorrow, Friday, June 27. I’ve already got my coupons ready and my list made.